Johnny Manziel appears to be having a meltdown of sorts. He’s a young guy who only recently found a boatload of success. He won the Heisman and then was drafted in the NFL . It’s tempting to give him a pass for some of his antics. Until recently, he has been seen partying a lot and just doing what Johnny Football does. His coaches didn’t like it and it may have been self destructive. But he didn’t appear to be hurting anyone else …until now. Manziel is under investigation for a domestic violence complaint by the Dallas Police Department. Manziel could face domestic violence charges for allegedly hitting his girlfriend several times. 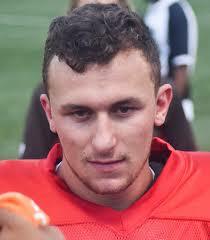 Now, the NFL is reportedly willing to step in and offer assistance to Manziel if he is willing to accept it. Unfortunately, Johnny does not appear to be willing to enter rehab again. It may be possible for domestic violence offenders to be rehabilitated but they must be willing to change. They have to be able to relinquish the power they hold in the relationship. They can’t trade physical abuse for psychological, which is also very hard on the victim. If you have been charged with committing a domestic violence crime, it is important to hire an attorney. This is a serious charge. If convicted of domestic violence you may face penalties ranging from a “Class C” misdemeanor with a possible $500 fine all the way up to a second degree felony, which carries a penalty of two to twenty years in prison and could carry a $10,000 fine. Next, it is important to seek treatment to prevent causing this kind of harm to your loved ones again. It is important to get the help you need, for you and your family. If you are the victim of domestic violence, please call the National Domestic Violence hotline 1-800-799-7233.